German power metallers BLIND GUARDIAN will embark on a North American headlining tour in October. 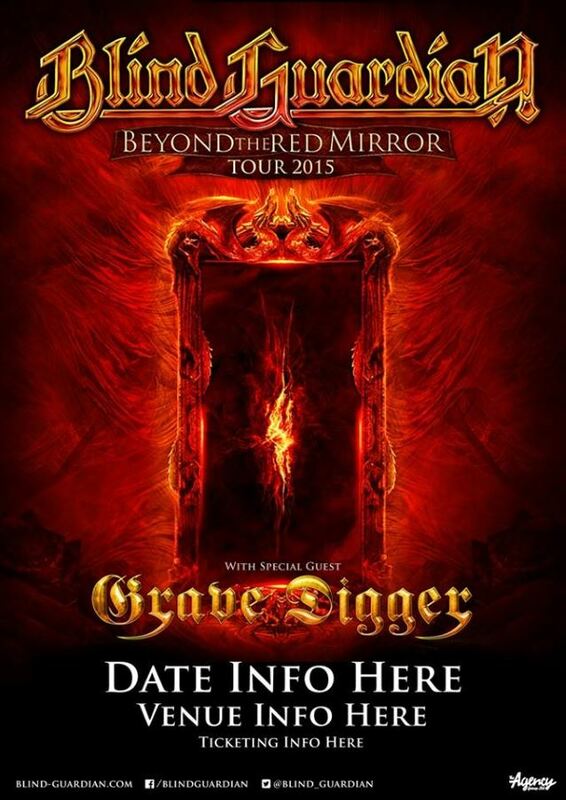 Support on the trek will come from fellow German metallers GRAVE DIGGER. BLIND GUARDIAN's tenth studio album, "Beyond The Red Mirror", was released in North America on February 3 via Nuclear Blast. 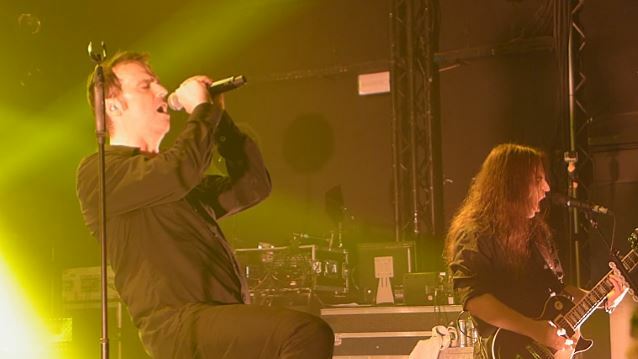 In a recent interview with Dead Rhetoric, BLIND GUARDIAN frontman Hansi Kürsch was asked if it is more daunting than ever to come up with a new album. He responded: "For me, it was not, but for André [Olbrich; lead guitar], it has been. He has the pressure. Funny enough, he doesn't even consider the music we're doing as complicated; he would have gone even further, and I had to take him back sometimes. Even with the support of [producer] Charlie Bauerfeind, it turned out to be very complicated. "What you hear is a sort of compromise in exploring new dimensions. The unbound output in André's ideas alone might have been even more complicated. "I think it's a pretty good cooperation we have. The one calms down the soul of the other, and at points where it might become necessary. "For me, my first idea was to do not a 'back to the roots' album, not even a simple album, but maybe a more open album to giving space." He continued: "When André threw in his ideas, I knew we had to take it as things came in to see how the final output would be. [Laughs] Charlie reacted the same way. "For us, it's being as innovative as possible, but with a passion. It's not that anything is really designed in this way before. Things come in, and we deal with it, and whenever I get a drawing from André, I'm eager to bring in as many colors as possible. And the other way around. He'll say, 'The green you brought in is not what I want there.' He comes in with two different colors and I'll say, 'These two colors might be better than my green.' And we work from there, so in the end, we have these constructs, these buildings which we feel both comfortable with. We stand behind it. That's important point in BLIND GUARDIAN. Whenever we finish a song, you can be sure the creators of the song and hopefully the producer, in this case, Charlie Bauerfeind, really believe this is the maximum we can do for a song. We try to treat each song individually and hope to finish with the best result."